Dr. Susan Jacobi has come full circle now that she is back in Iowa taking care of patients at the Iowa Arthritis and Osteoporosis Center. A native Iowan, she came back to Iowa in 2005 after being part of a rheumatology practice in Nashville, Tennessee for several years. Dr. Jacobi earned her Bachelor of Science degree in biology from Iowa State University and graduated from The University of Iowa’s Medical School. She continued her medical training at Vanderbilt University where she earned her internal medicine specialty. She then completed her rheumatology fellowship program at Washington University School of Medicine in St. Louis, Missouri. Dr. Jacobi is an Adjunct Clinical Assistant Professor for the University of Iowa Hospitals and Clinics. 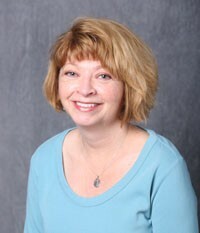 She is also an adjunct faculty member for the Mercy Residency program and Des Moines University. She is board certified in internal medicine and rheumatology by the American Board of Internal Medicine. She is a member of the American College of Rheumatology and the Rheumatology Association of Iowa. She serves on the board of directors for Rheumatology Association of Iowa and for Polk County Medical Society. Dr. Jacobi is also certified by the International Society of Clinical Densitometry. 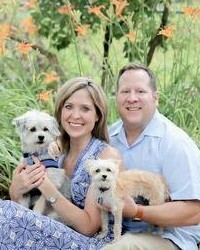 When she is not at work, Dr. Jacobi enjoys spending time with her husband and daughters, often attending music events. The Arthritis Foundation is pleased to honor Dr. Jacobi at this year’s Walk to Cure Arthritis in Des Moines. Join or donate today! Although the symptoms of adult Still’s disease have persisted since she was diagnosed, Cindy refuses to let the disease defeat her spirit. Each day, she focuses on giving her best self to others, and being a positive influence, especially to the young people in her life. Since 2004, Cindy has been a resident and marketing communications professional in the Greater Des Moines Metro, currently working as a marketing manager for UnitedHealthcare. She has been a board member for the Arthritis Foundation since 2010 and the team captain of “Cindy’s Pickles” for the Walk to Cure Arthritis Des Moines. Cindy is active in several community organizations, and was honored in 2014 as one of the Des Moines Business Record’s Forty Under 40. She has a master of science in Adult Learning and Organizational Performance from Drake University and a bachelor of arts in Communication Studies from the University of North Carolina-Wilmington. Cindy also graduated from the Greater Des Moines Leadership Institute’s Community Leadership Program in 2012. Cindy has been happily married to Clark Anliker since 2007. They have two adorable pups, Lex and Mickey. Cindy’s loved ones, medical team, and community keep her motivated, as well as her wish to cure arthritis for the millions who suffer from arthritic diseases. 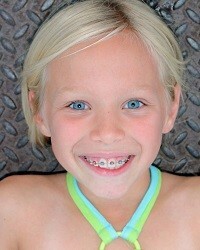 Addie is nine years old and has juvenile arthritis. The Walk to Cure Arthritis has helped her to see not only how many people, like her, deal with arthritis, but also the outpouring of love and support shown by all those who advocate for the cause. Addie was two and a half years old when her parents first noticed swelling in her ankle and a limp. They sought the advice of many doctors before they found one who sent them to the University of Iowa Hospital. Addie was three when she was formally diagnosed with arthritis. They found that she had limited mobility and swelling in her left ankle and right wrist. Over the course of the next year her arthritis was controlled with medication and physical therapy. She regained her mobility and her swelling was gone. There have been a few relapses but for the most part her arthritis has been under control. Addie is proud to be the 2018 Juvenile Arthritis Honoree! She will be at the walk and would love the chance to meet you. It may be hard to identify her because she will look and act like every other nine-year-old girl you know. She loves to play softball and was honored to have her team walk with her last year. She enjoys gymnastics, Cardinal’s baseball, time spent with her friends, and looks forward to playing volleyball! Just look for the girl with blonde hair and blue eyes and a smile that will light up your heart! Thank you for taking the time to learn more about Addie and thank you for supporting the Walk to Cure Arthritis! Join Addie and her fight against arthritis on May 12 in Des Moines! Visit Addie's fundraising page to donate today!